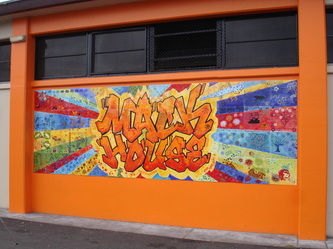 Mack House Mural Project. 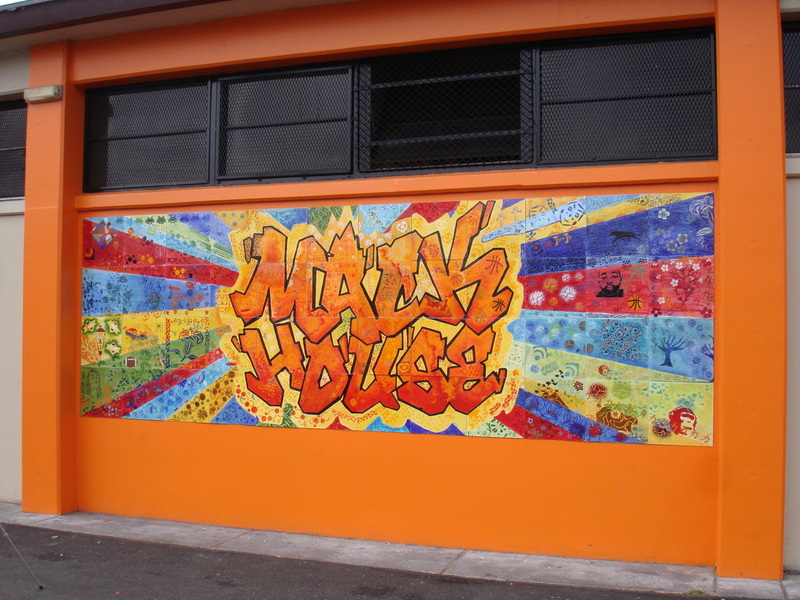 2607 Myrtle Street. 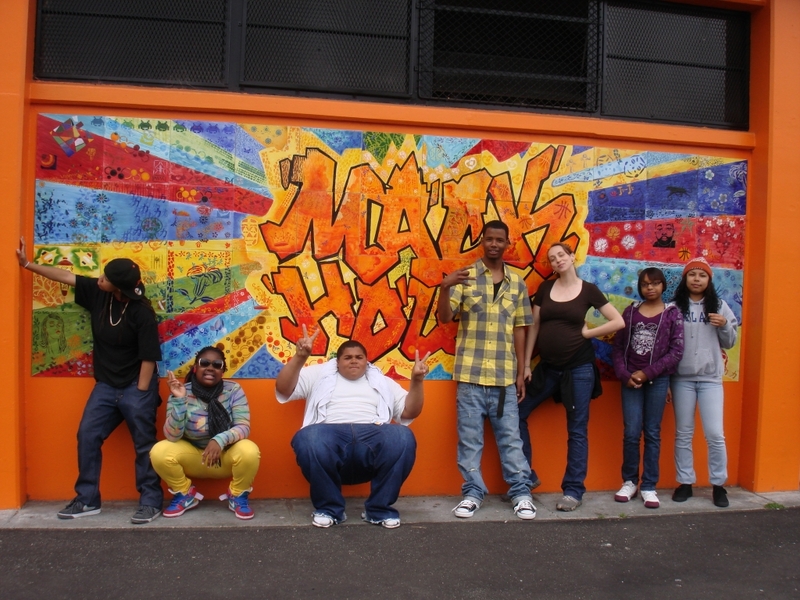 Oakland, California. 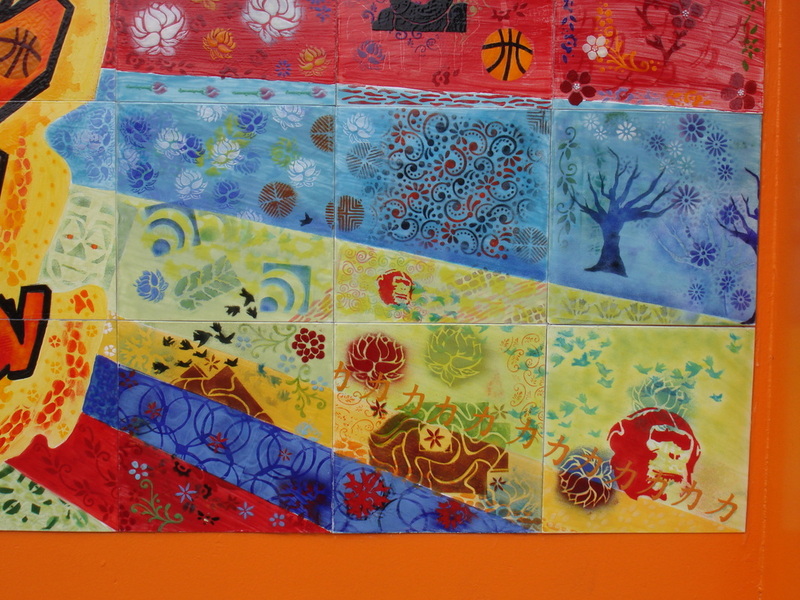 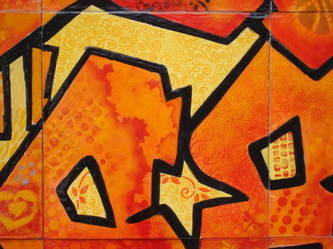 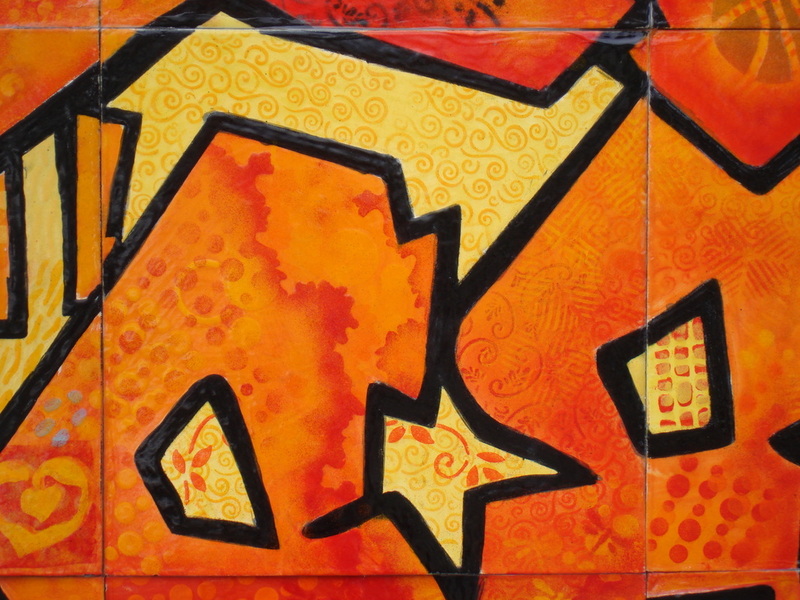 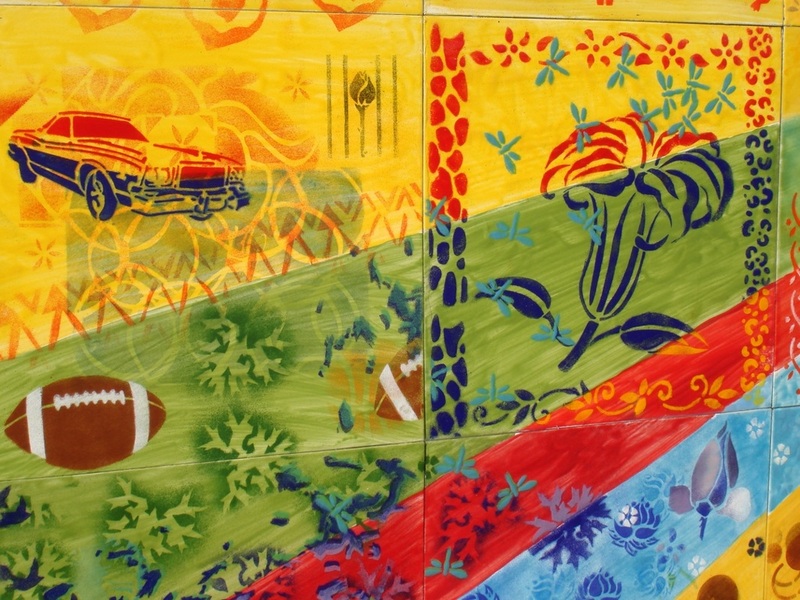 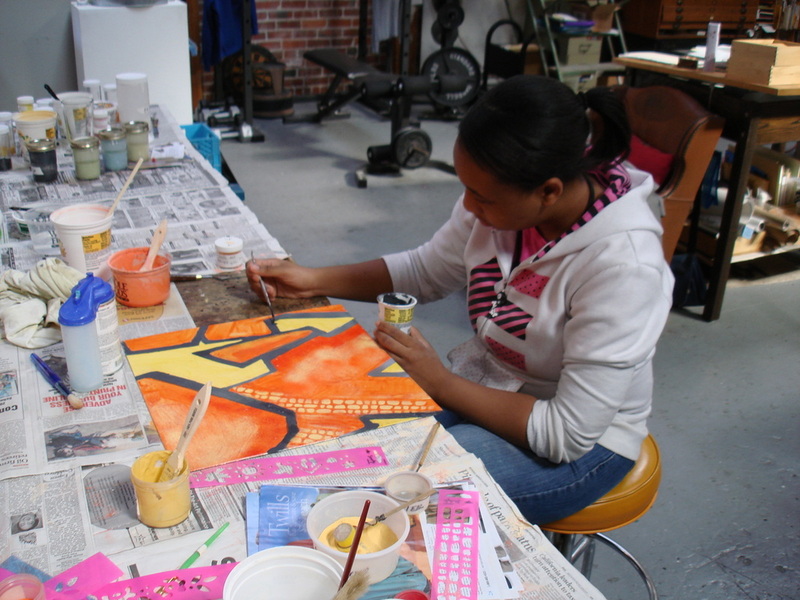 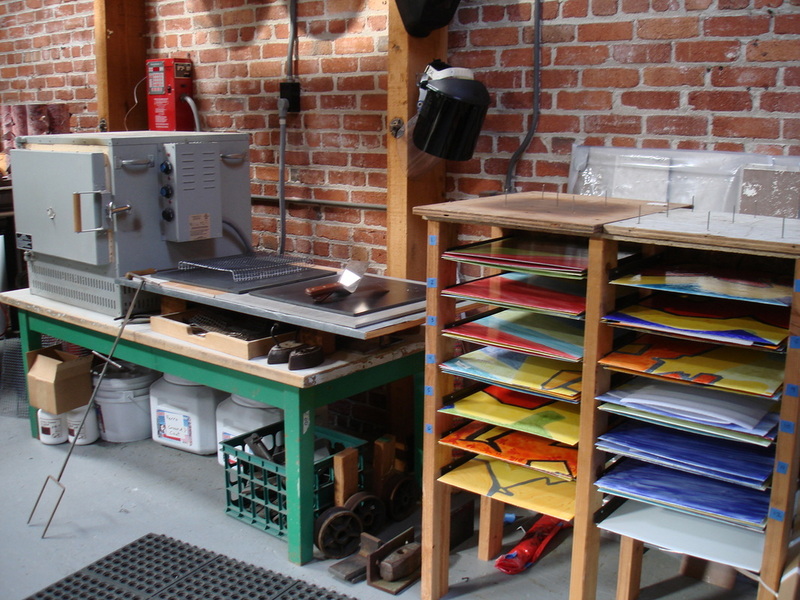 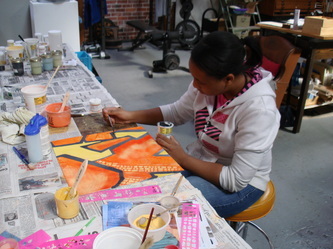 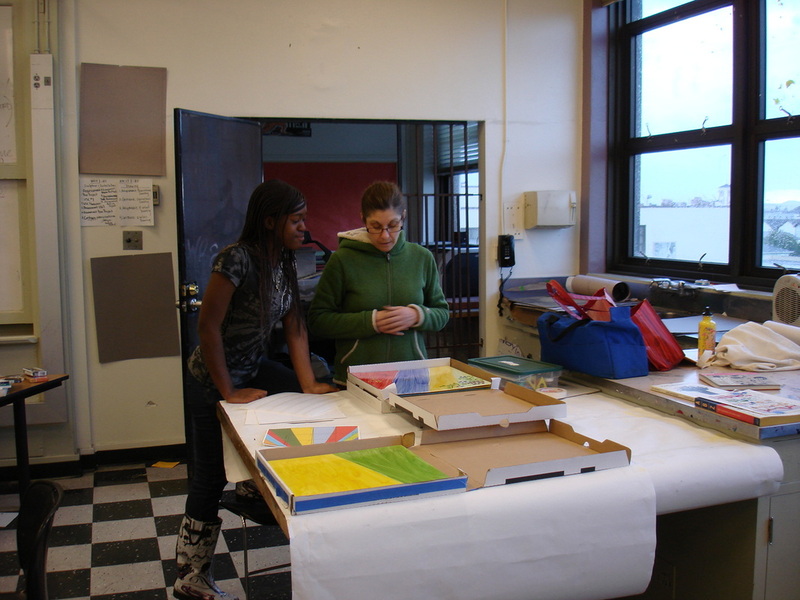 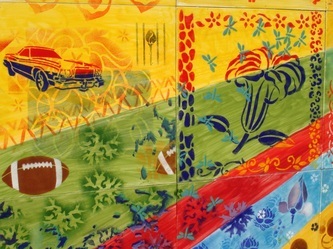 Vitreous enamel on steel mural in collaboration with McClymonds high school students and artist Kate Short. Vue46 Sconce Project. 1001 46th Street. 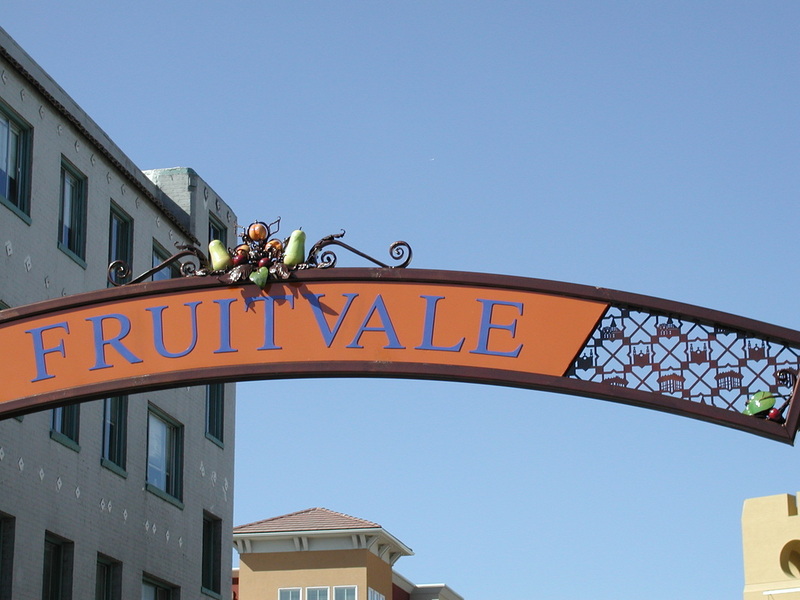 Emeryville, California. 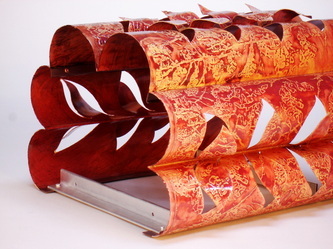 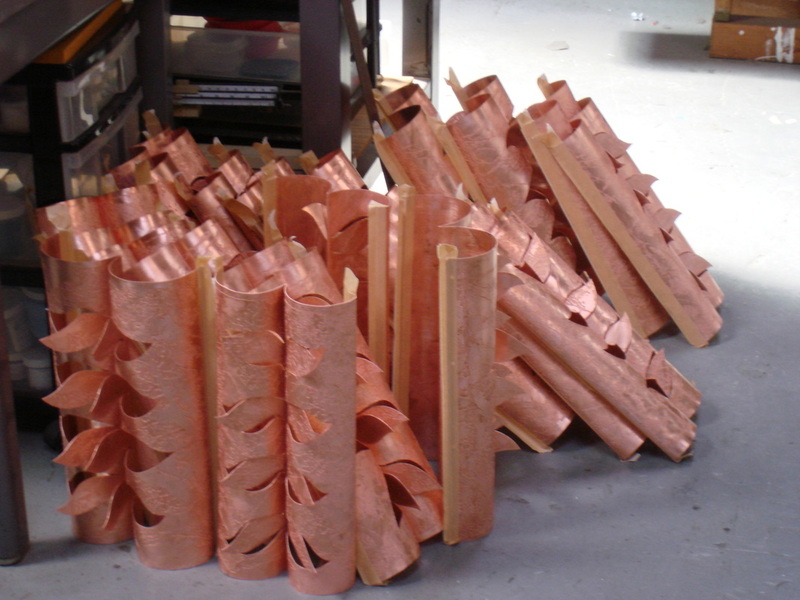 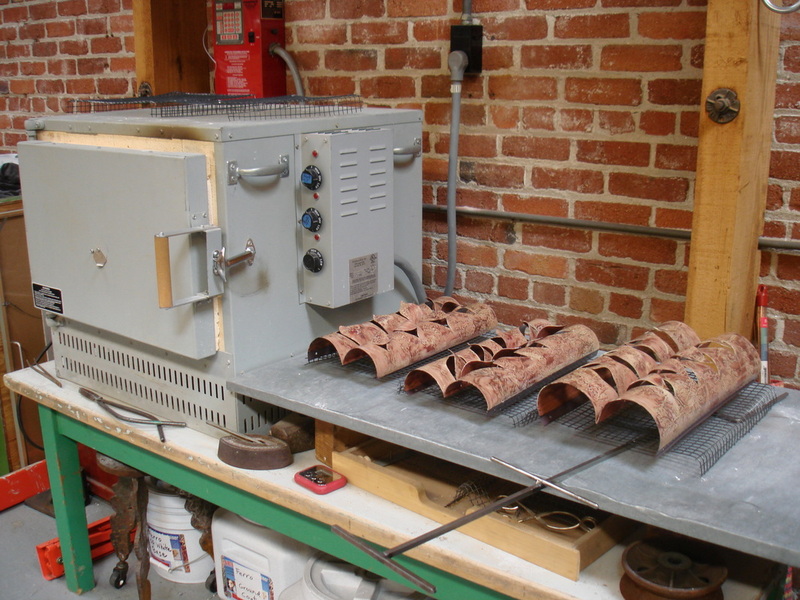 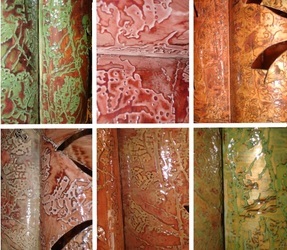 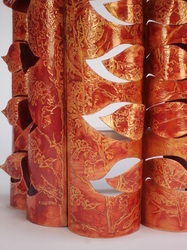 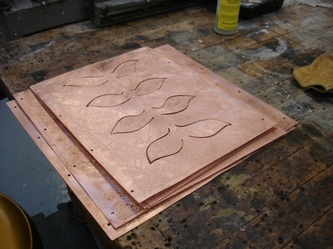 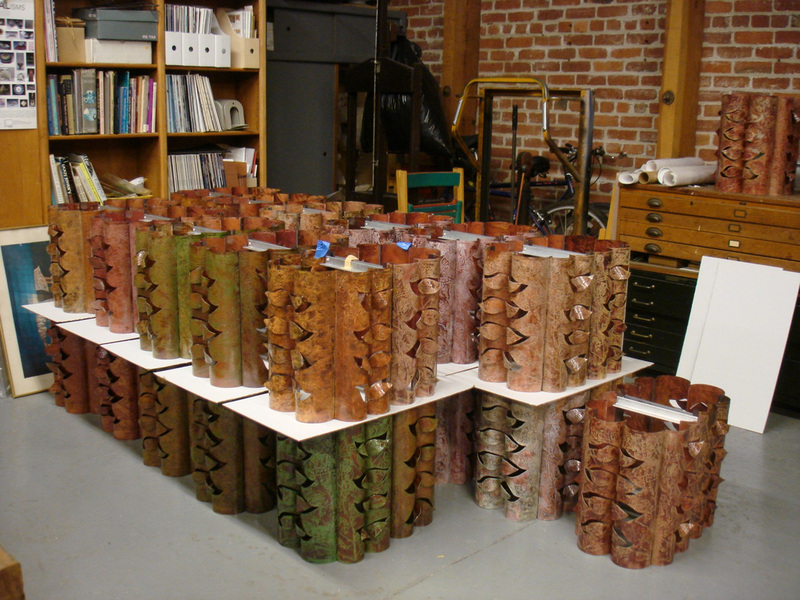 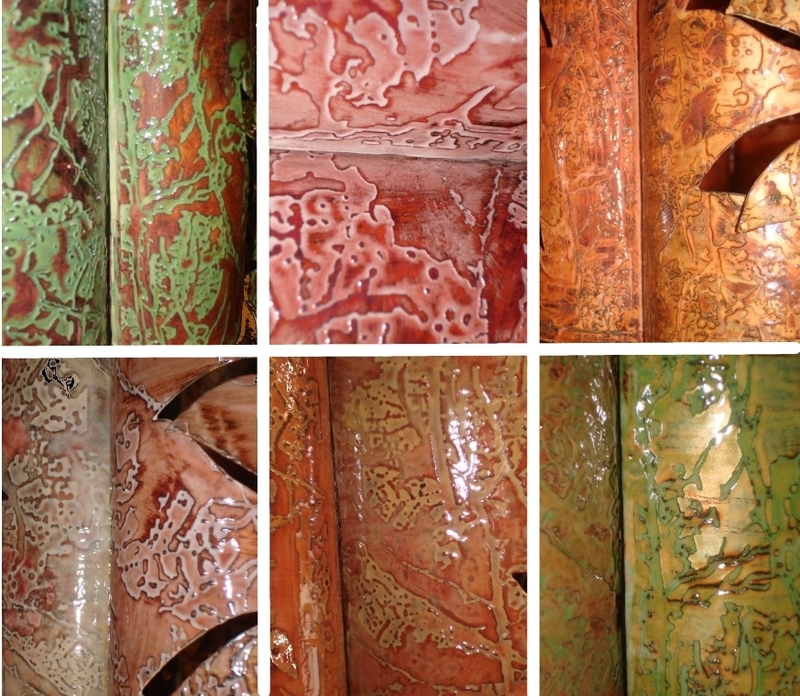 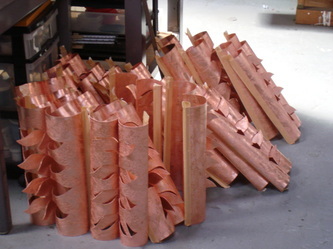 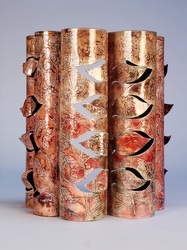 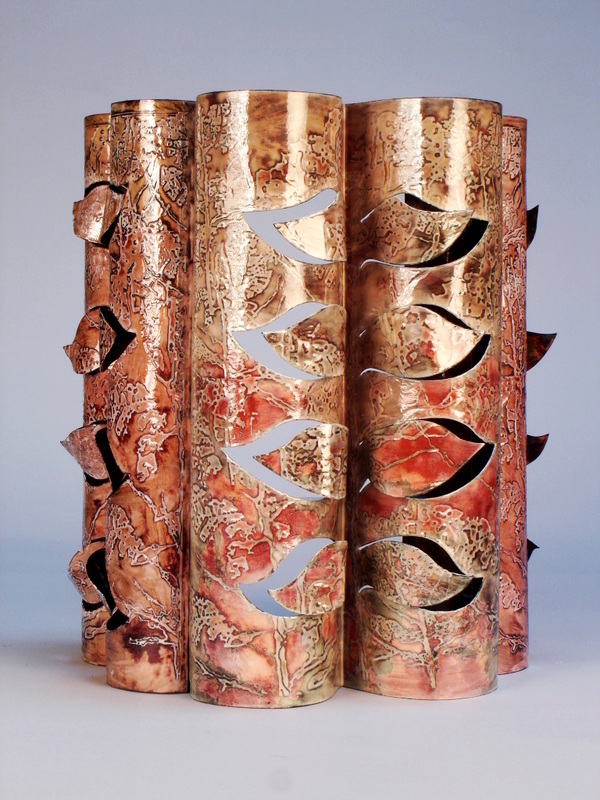 51 enamel on etched copper sconces for condominium development. 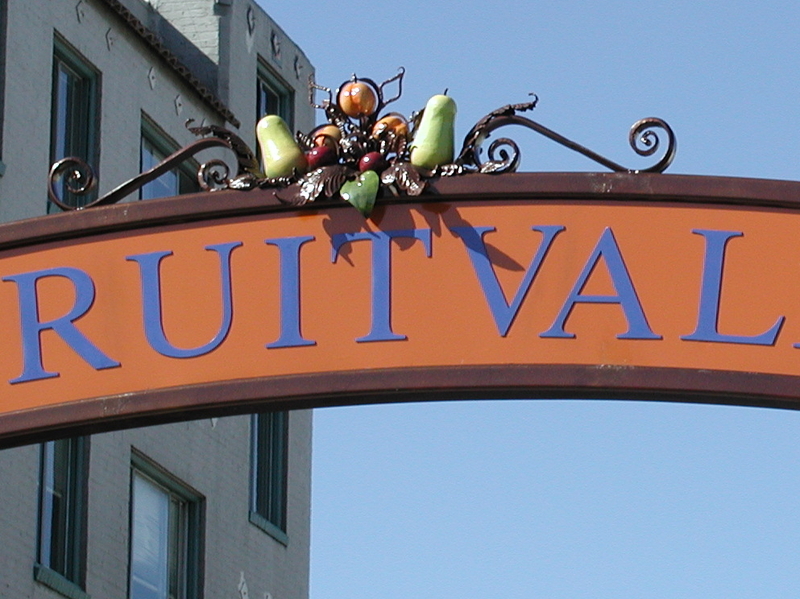 Fruitvale Pedestrian Gateway. International Boulevard. Oakland, California. 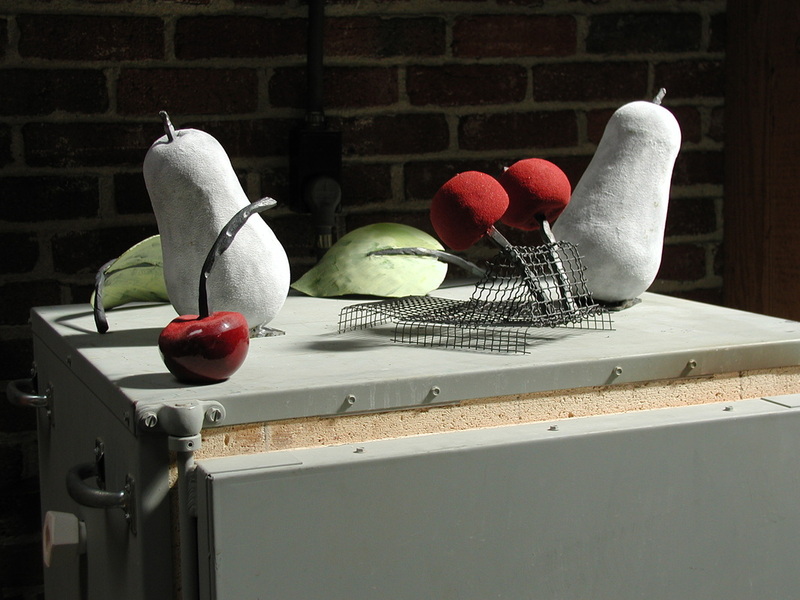 Lead artist: Vickie Jo Sowell. 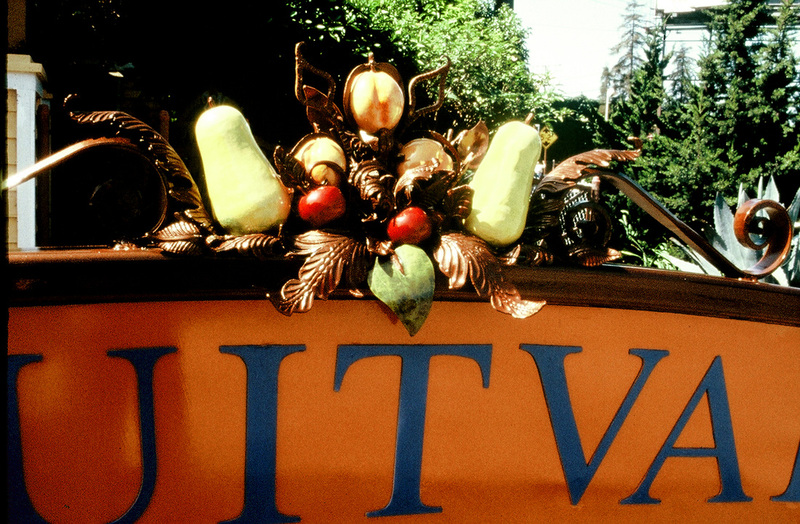 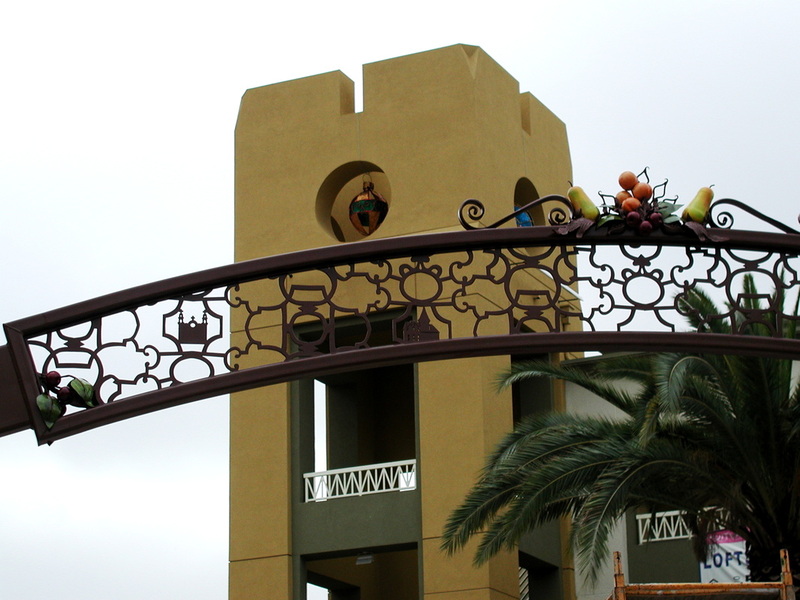 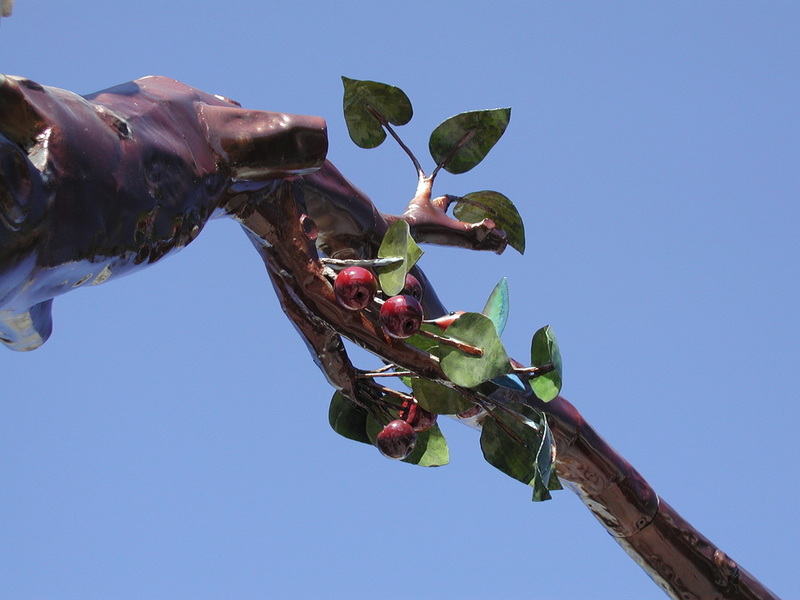 Vitreous enamel on steel details for gateway, which include fruits, leaves, birds and butterflies. 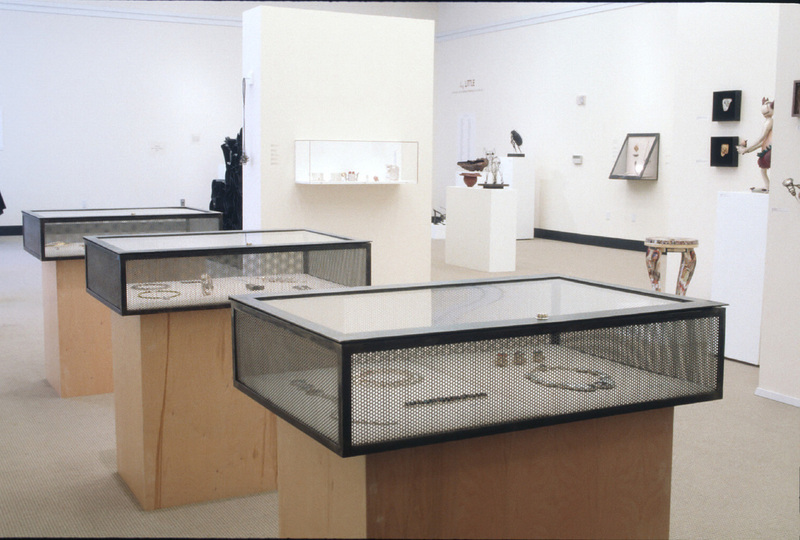 bigLITTLE: Jewelers and Sculptors Making It In Metal. State of California Building. 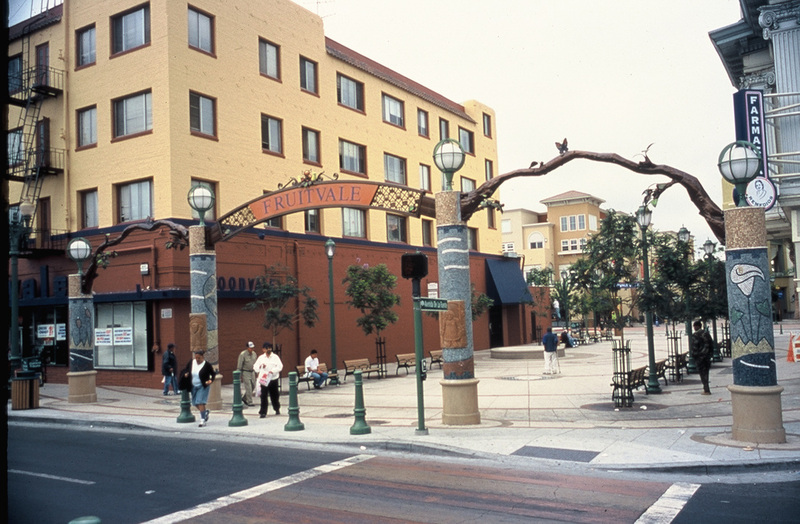 Oakland, California. 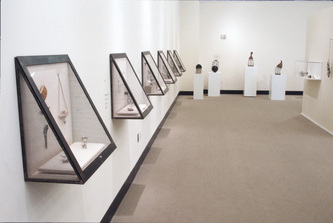 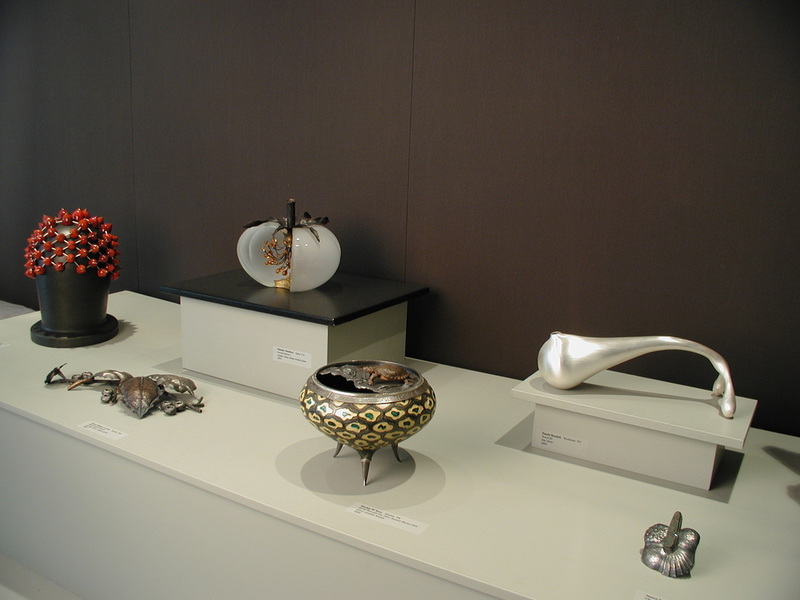 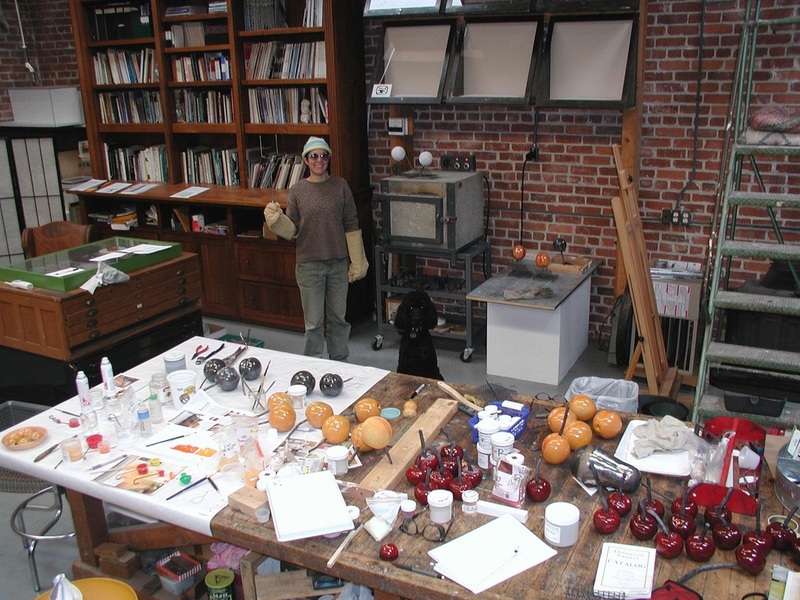 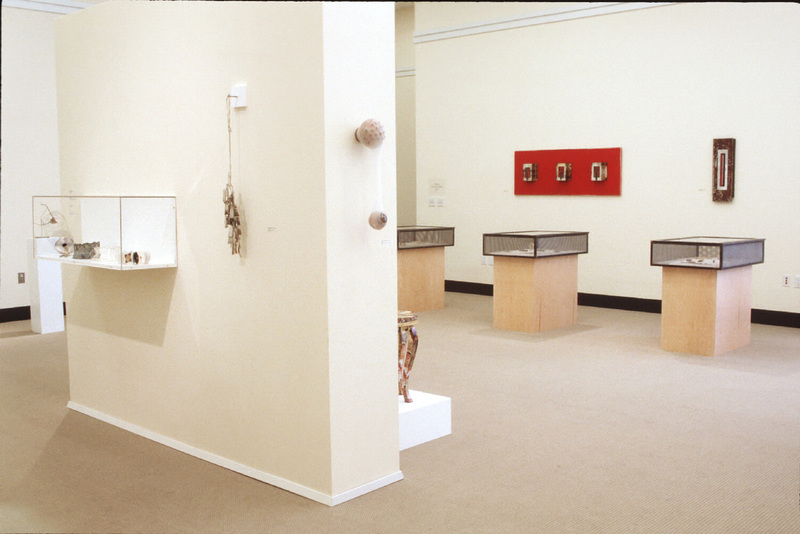 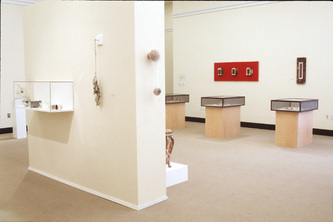 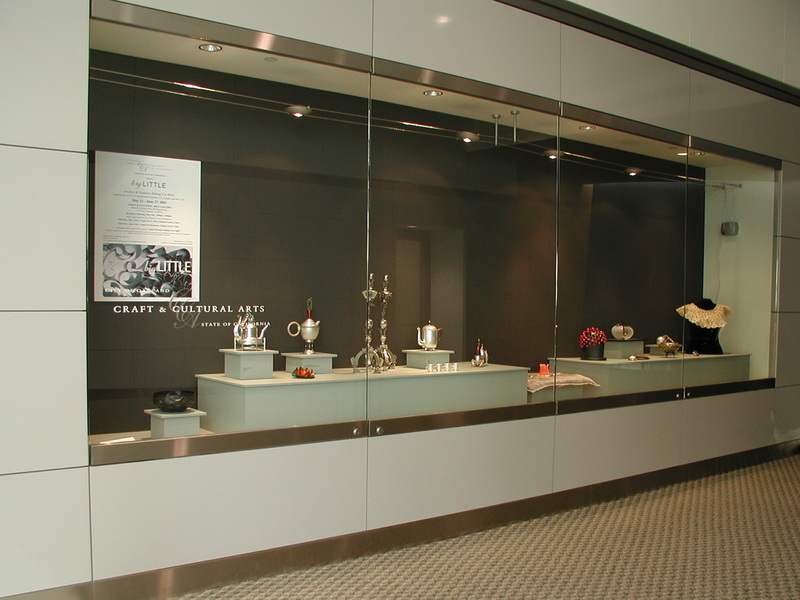 Organized and designed juried metalwork exhibition in conjunction with the Society of North American Goldsmith's conference in San Francisco, 2003.